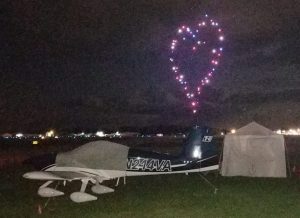 The post 2019 SUN ‘n FUN Fly-In and Expo is First in Fun – Fast in Flight! appeared first on . SUN ‘n FUN Fly-In is a 501 (c)(3) non-profit whose mission is to preserve and enhance the future of flight through world-class events, inspiring and educating people of all ages. 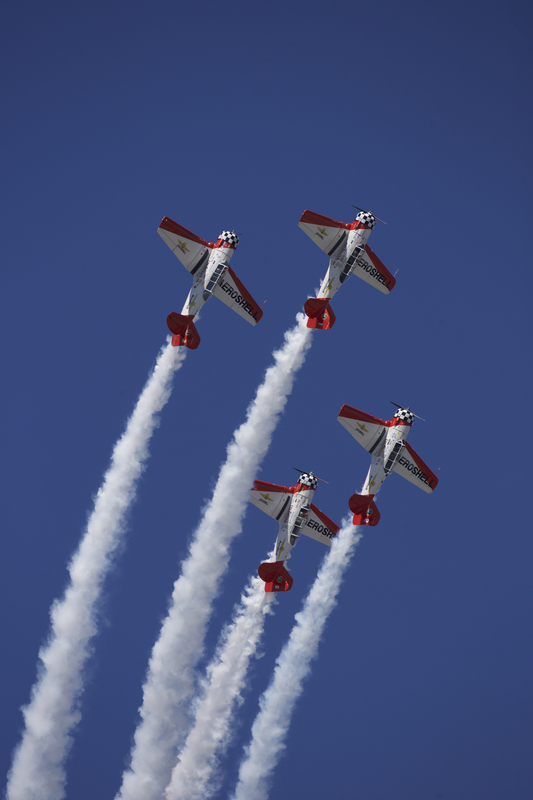 Year-round events, including the SUN ‘n FUN International Fly-In and Expo, which is one of the world’s largest aviation events, raise funds for the Aerospace Center for Excellence (ACE). SUN ‘n FUN Fly-In annually raises over $2M for ACE enabling the delivery of STEM-related and aerospace education programs engaging over 35,000 local youth each year. Additionally, ACE manages and allocates over $445K/year in local aerospace scholarships. For more information, www.flysnf.org. The post Central Florida Arms Show presented by Lakeland Rifle & Pistol Club Educational Center appeared first on . The Lakeland Rifle and Pistol Club (LRPC) is a privately owned gun club, with membership open to the public. Men, Women, and Children can enjoy this private, safe shooting facility 365 days a year. The Club supports individual marksmanship, competitive shooting, safety, education, training, social events, and family values through youth events. For more information – www.lakelandgunclub.com. The post Aviation Summer Camps appeared first on . The post Aerospace Discovery at the Florida Air Museum Unveils USSR MiG-21 donated by Draken International appeared first on . 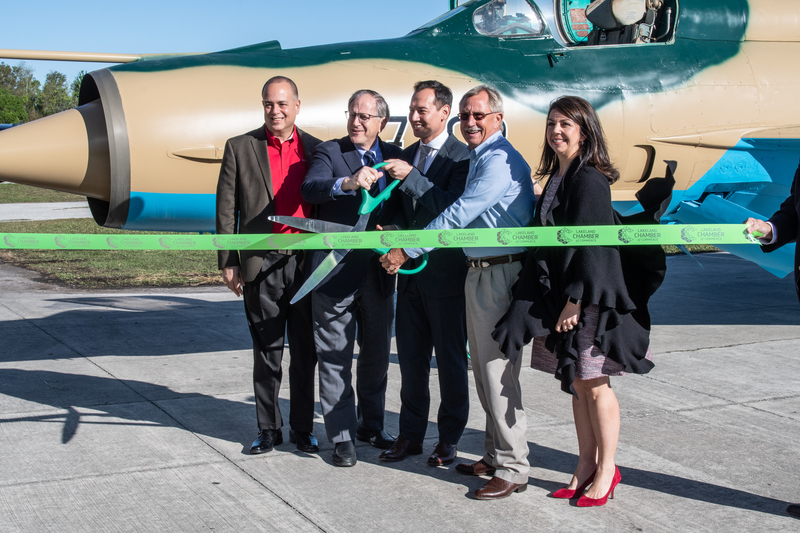 Lakeland, Florida: One of the most popular supersonic jets in aviation history, a Russian Mikoyan-Gurevich MiG-21, has a new home at the Aerospace Center for Excellence (ACE). Draken International donated the single engine jetfighter to Aerospace Discovery at Florida Air Museum, a key component of ACE. The unveiling and ribbon cutting ceremony took place during the 6th Annual Mayor’s Breakfast held March 6th on the SUN ‘n FUN campus. The Mayor’s Breakfast was attended by over 400 members of the business community interested in this year’s updates on SUN ‘n FUN and its Aerospace Center for Excellence initiatives as well as the keynote speaker from Draken International which is headquartered on the Lakeland Linder International Airport. Ribbon Cutting Ceremony at the conclusion of the 6th Annual Mayor’s Breakfast hosted by SUN ‘n FUN Fly-In. Dave McQueary, who works in the Technology Department at SUN ‘n FUN, has served as the caretaker of the aircraft since it was officially donated in December 2017. 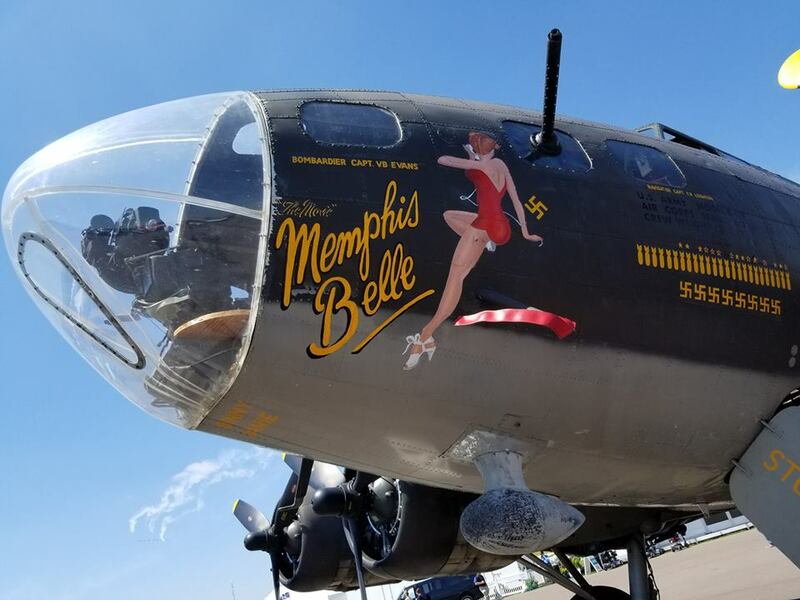 In getting the aircraft ready for exhibition, McQueary noted that the project was extremely time consuming, involving several intricate steps to restore the aircraft to its original condition. The original home of the aircraft has been traced to Silac Air Force Base in central Slovakia where it was assigned to the 4th Technical Squadron. It served on Quick Reaction Alert status the entire time it was there and was ready to takeoff within eight minutes when needed day or night. This aircraft is one of the 10,000 MiG-21’s produced by the Mikoyan-Gurevich Design Bureau in the former USSR and holds the record of being the most produced combat aircraft since the Korean War because of its simple design and technology. In its heyday during the 60’s and 70’s, the MiG-21 served in over 50 countries and some estimate it is still an active aircraft in as many as 20 countries today. McQueary said the MiG-21 will be displayed alongside the Grumman F14 Tomcat on the SUN ‘n FUN Expo Campus, historically appropriate since these two aircraft were direct adversaries during the Cold War. The post SUN ‘n FUN Fly-In Shoots for the Stars in 2019 appeared first on . 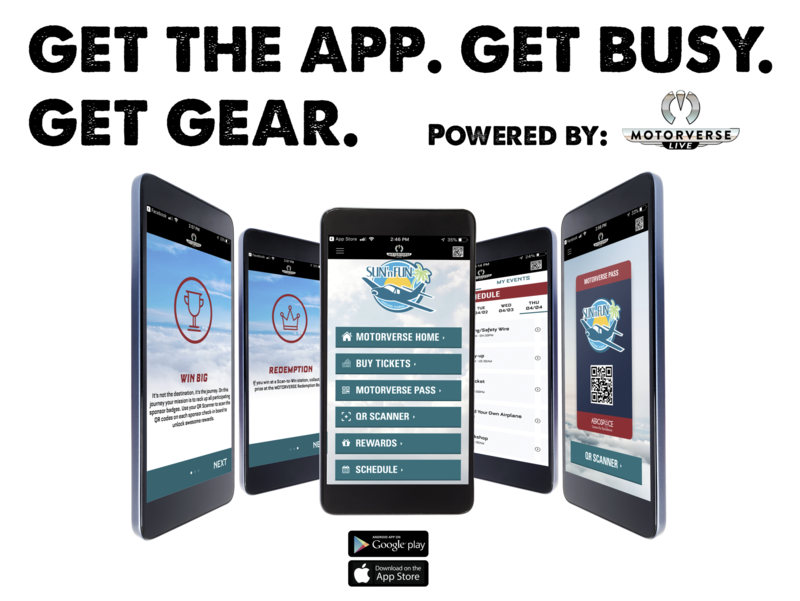 The post Aerospace Center for Excellence Launches Partnership with Able Flight appeared first on . Able Flight’s mission is to offer people with disabilities a unique way to challenge themselves through flight and aviation career training, and by doing so, to gain greater self-confidence and self-reliance. Able Flight was created by pilots who believe that the life-changing experience of learning to fly is best shared, and designed the Able Flight Scholarships to enable people with disabilities to pursue that experience. Members of the Able Flight Board of Directors and Advisory Board include a flight instructor, an Aviation Medical Examiner, a veteran who flies his own plane with the aid of a prosthetic device, and a previous scholarship recipient. Able Flight is incorporated as a 501 (c) (3) nonprofit organization, and is supported by the generous donations and sponsorships of individuals, foundations and corporations. The post SUN ‘n FUN Sponsors First Friday, Offers Ticket Discounts to Attendees appeared first on . Lakeland, FL: SUN ‘n FUN, one of Lakeland’s most iconic events, is making it easier for locals to attend its weekend festivities while supporting Downtown Lakeland on March 1st, 2019. Appropriately named “Downtown Lakeland Flight Night hosted by SUN ‘n FUN”, the city’s First Friday event, held monthly on the cross-streets surrounding Lakeland’s Munn Park, the sponsored promotion will give area residents ticket discounts and a chance to spin a prize wheel for upgrades and giveaways. SUN ‘n FUN local partners will also be on-hand with games and giveaways promoting the excitement of aviation and STEM-related opportunities. According to Gibson, tickets will be available for purchase at Flight Night for any day of the 6-day event, but the discount deals are on the weekend, when Lakeland kids are out of school and families can attend together. “We’re offering Florida residents a BOGO for the weekend shows,” he said. “Buy an adult ticket for Saturday, and you’ll get Sunday’s admission for free. During Flight Night only, we are offering adult admission for Sunday only at just $20. That’s $10 off our website price to thank people for coming to First Friday.” Gibson offered that other pricing and discount packages can be found on the show’s website at www.flysnf.org. The 45th annual SUN ‘n FUN International Fly-In and Expo takes place at the Lakeland Linder International Airport on April 2-7, 2019. There are over 500 exhibitors with hands-on high-tech experiences, a giant STEM exposition and a Career Fair. There is a 7-acre ramp and ½ mile expanse of runway with dozens of military fighters and heavy aircraft, plus four huge areas with hundreds of Warbirds, Golden Age, Homebuilt, and Light Sport aircraft. Visitors can meet fighter pilots and veterans from every era of aviation in multiple theaters and showcases. There are airshows daily, plus night shows on Wednesday and Saturday night. 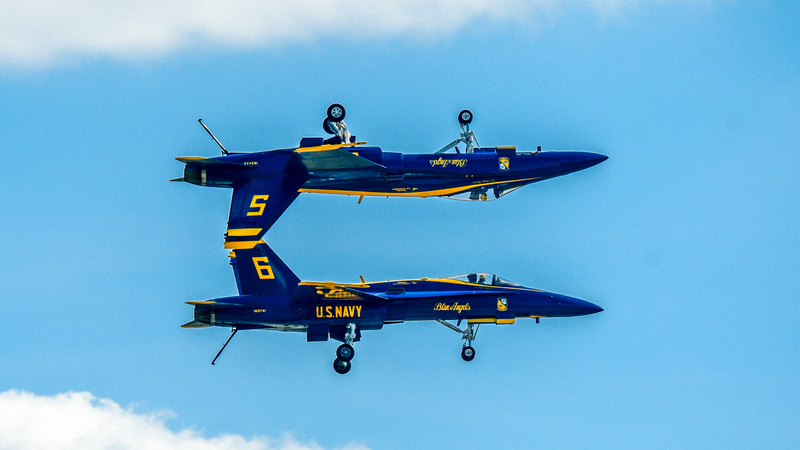 The airshows have over 60 aerial acts scheduled for the week, and the featured performances this year include the U.S. Navy’s Flight Demonstration Team, The Blue Angels, and a Lakeland first – a Drone Light Show called “Star Dance Spectacular”, on Wednesday and Saturday nights. Information about the SUN ‘n FUN International Fly-In and Expo including ticket purchasing, airshow schedules, daily activities, after-hours entertainment, etc. can be found on www.flysnf.org. The post DRONE SHOWS TO LIGHT UP THE SKIES OVER LAKELAND DURING SUN ‘n FUN appeared first on . 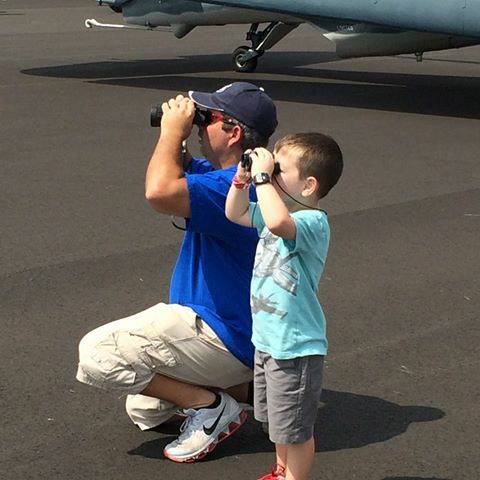 The Sun ‘n FUN Fly-In strives to raise the bar each year. 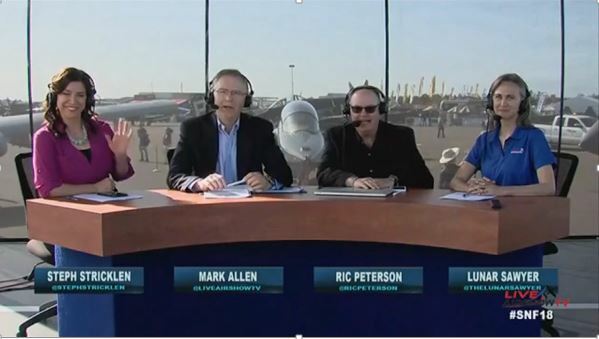 More spectacular airshows. Latest technology. This year is no exception. In its 45th year, the nighttime airshow lineup has been expanded to include a new show performer. OR should we say 60 of them. It’s a drone show! You saw them at the Olympics, and most recently at the Super Bowl. 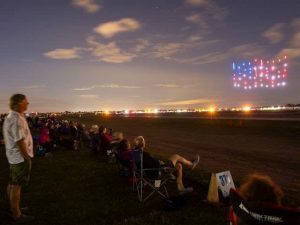 Now, airshow fans at the annual SUN ‘n FUN International Fly-In and Expo in Lakeland can look forward to something special – the first public drone light show performance at a Florida airshow. Over 60 of the specialized aerial robots will lift off together, taking flight twice during the week-long event. SUN ‘n FUN organizers are confident that this dazzling multi-colored aerial light display set to music, dubbed the “Star Dance Spectacular,” will be one of this year’s most memorable highlights. The post Aerospace Center for Excellence Adopts New Mission appeared first on . As the new year begins, the Board of Directors for the Aerospace Center for Excellence (ACE) has unanimously approved a bold, new mission statement citing objectives that will “engage, educate and accelerate” the next generation of aerospace professionals. If approved by the executive committee, the new mission statement will officially put education at the forefront for all future programming implemented by ACE. Ed Young, ACE director, is enthusiastic about the new direction and is optimistic that his ‘Big Book of Projects’ will gain traction in the coming months. As a matter of fact, some of the current ACE programs are already experiencing significant growth, he noted. The Pilot Scholarship Program is one of those programs, according to Young, who cited the number of recipients has recently increased from 24 to 36 students per year. Each student is eligible for up to $12,500 and is given a year to complete the program. In addition, the annual Career Fair held during the Fly-In will be expanded from one day to three days this year in order to reach more prospective students who are interested in exploring career options in the field of aviation. Another long standing annual event that has been given a facelift is Project STRATOS, formerly an essay contest for students, where finalists enjoy the distinction of being Student Ambassadors during the Fly-In. With the focus on expanding educational opportunities, plans are underway to add 20,000 square feet of space to Aerospace Discovery at the Florida Air Museum with a projected completion date in 2021. Young said the expansion will provide more classroom space for training and workshops. In addition, the space will be a welcome addition to host the many special events held at Aerospace Discovery during the year. Fundraising efforts for the expansion project are already underway. As ACE continues to spread the word about aviation through education, Young feels confident that a more robust effort in adjustable and adaptable programming will be the key in making the new mission successful. SUN ‘n FUN Fly-In Inc. The post Project Stratos – Negotiation Training appeared first on . The first session of Negotiation Training based on the best-selling, Harvard Negotiation Project book Getting to Yes (Part 1 and 2) will be held on January 30, 2019, in the Piedmont Experience (727) on the Central Florida Aerospace Academy / ACE Campus. Students are encouraged to complete both parts of the program and multiple dates are offered to accommodate even the busiest schedule. Courses start promptly according to the schedule. At this time, all classes will be in the 727. Please RSVP for your training session to stratos@flysnf.org. If you require assistance or accommodation, please let us know in your RSVP correspondence. Getting to Yes: Negotiating Agreement without Giving In, is based on years of research in the area of negotiation. Students who complete Part 1 and 2, will receive a certificate from the Aerospace Center for Excellence and will be eligible for inclusion in the Project Stratos recognition and awards. The Project Stratos expression of interest to participate was extended to February 18th. Why this program? College admissions are based on more than weighted GPA and SAT scores. In meetings with college recruiters, deans and members of college boards of trustees, it is apparent that students that wish to be competitive must demonstrate well rounded interests and pursuits. Recognition for this program not only demonstrates the student’s interests, but also prepares the student to work through conflict within their other interests and organizations. About the instructor, Aerospace Center for Excellence Executive Director, Ed Young. Ed has taught this program to students at both the undergraduate and graduate level and as tactical communication and verbal judo for police officers. As a student in the law school and master of public administration program at the University of Kansas, Ed participated in the creation of several scenario based workshops that were part of the Harvard Negotiation Project. A Senior Fellow in the American Leadership Forum, Ed’s fellowship was based on collaborative decision making. Having completed the Civil Mediation program presented by the Kansas Bar Association, Ed also served as a volunteer community negotiator, and started a teenager / youth negotiation program in two communities and believes that conflict resolution and negotiation is a great tool for our students to have in the life skills toolbox.